Dealers are driving timely, relevant communications with data-driven microtargeting. Digital marketing expert explains how it’s done and why it works. It’s easy to see why so many auto dealers have tried to find alternatives to email marketing in recent years. Just think about how often you open your inbox and delete promotional emails without even opening them. If you aren’t interested in the product or offer, why would you read it? The marketers who carefully developed those messages didn’t stand a chance. Like other platforms, email is most engaging when it offers car buyers the type of compelling content they want to engage with — not the vehicles or services you want to sell. And with the rise of mobile, it’s more important than ever to take a strategic approach to communications that closely aligns with your customers’ needs and interests. In other words, no one likes generic marketing emails that prioritize the seller over the audience, and that includes promotions aimed at in-market car buyers. Just like you, your customers have grown accustomed to smart device interfaces and social media algorithms that can learn their interests and deliver an endless feed of personalized content. As a result, they now expect total customization on every platform — including their email inboxes. Just think about it: if all the email you received addressed a specific, personal need at exactly the right time, you’d open a lot more of it. That point of view is reinforced by a recent survey from eMarketer, which found that, among the types of email most likely to bring U.S. car shoppers to a dealership, messages that are personalized to align with customers’ interests are most compelling. Survey respondents assigned the highest preferences to email that “includes information about car model, style, or color you’re interested in” (28%), followed closely by email that “speaks to interests or needs” (23%). On the other hand, respondents saw little value in email that “includes salesperson’s name, email and phone number” (4%) — which, of course, is readily available information that likely has minimal personal relevance for the customer. Clearly, the business benefits of personalized email communications cannot be underestimated. Of course, creating customized, relevant communications that address individual customer needs is easier said than done. Ironically, automotive dealers — and the digital marketing industry as a whole — can partly blame their current communication challenges on their own methods. Back in the days when TV, radio, and print media dominated, marketers had the luxury of large audiences with predictable demographics. Campaign effectiveness was measured with impressions — in other words, by counting the individuals who had the opportunity to see an ad. In large part, success was about numbers. Fast-forward to the 21st century, when fractured audiences divide themselves across multiple devices and channels, often according to narrow and specific interests. Marketers face an attribution nightmare as shoppers engage with a wide range of touchpoints — both online and offline — during a single buying journey. Opportunities for marketers to reach a unified audience with a homogenous set of interests have become almost nonexistent, and getting a message in front of as many people as possible has become less important than getting it in front of the right people. The good news is that, if you’re like many dealers, you already have much of what you need to revolutionize the way you communicate with your customers. That underappreciated resource is the information you keep in your databases, such as data on leases that are about to expire, customers whose vehicles are due for an oil change, or owners of high-mileage vehicles. You can leverage this data to deliver the antidote to the generic, one-size-fits-all marketing email: microtargeted communications customized for specific customers’ needs and interests. Of course, it’s impossible for your staff to manually sift through massive amounts of data quickly enough to distill it into timely, relevant communications. That’s where marketing automation comes in. Although it’s a technical process, it has the very human element of understanding customers as individuals, rather than as a monolithic group. 1. 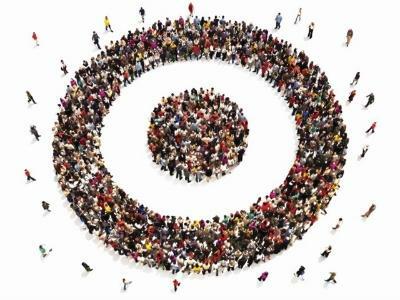 Target throughout the lifecycle: Target your customers throughout their purchase lifecycle by considering key points at which they may experience a need your business can fulfill. Look at the times when existing customers make contact with your dealership — such as service appointments, lease expiration, and vehicle trade-ins — and plan to reach out at those times. 2. Deliver timely messages: Driving engagement, loyalty, and sales isn’t just about developing relevant content; it’s also about getting the timing right. Delivering post-delivery or post-service messages is a great opportunity to show customers you care about their experience — sowing the seeds for repeat business. 3. Think beyond sales: Customer information in your database may indicate an interest in communication beyond sales, which can go a long way toward building loyalty and preference for your business if properly targeted. For example, if a customer has attended a charity event your dealership sponsored in the past, be sure to send them targeted messages informing them of similar events, like a charity test drive event, in the future. 4. Leverage third-party data: Your campaigns can gain an edge if you combine your own data with information from outside sources to target specific segments of your clientele. For example, a marketing automation platform might enable you to create conquesting campaigns for in-market shoppers. Using data such as ZIP code, the age of customers’ existing vehicles, and buying history, you could deliver targeted emails featuring promotions for a selection of vehicles your customers are likely to be interested in. Leveraging data using a marketing automation platform has great potential to deliver a range of valuable business benefits. Because customers will be more likely to open and read your emails, you’ll have greater opportunity to drive sales. Over time, your customers will become accustomed to receiving your communications and taking advantage of relevant offers, building interest in your dealership over competitors. Last but not least, marketing automation helps solve attribution problems with email links and personal URLs, giving you a much stronger understanding of campaign ROI. In this new world of data-driven digital marketing, we’re only just beginning to discover what’s possible when we have the opportunity to get to know our customers better than ever before. Troy Smith is president of Search Optics, a global digital marketing provider with expertise in integrated dealer/OEM campaigns.